The UMNO Secretary-General was reported making the allegation at a briefing on UMNO AGM earlier today by Channel NewsAsia's reporter Sumisha Naidu. According to Annuar Musa, while he can't comment for sure why two former ministers, Anifah Aman and Mustapa Mohamed, have resigned from UMNO this week, he claims he knows there are some who can't handle the stress of looming investigations. When Musa was asked if the former Minister for International Trade and Industry left UMNO because of the alleged investigation by authorities, the UMNO Secretary-General declined to comment, saying the reporter should ask this to Tok Pa.
JUST IN: Annuar Musa says @Mustapa_Mohamed - who just quit UMNO - was investigated by authorities for receiving a “substantial amount of funds”, along with UMNO Kelantan. When asked if this was why he quit, he said to ask him. Many were probed and they didn’t quit, he says. Previously, Jeli MP Mustapa Mohamad left UMNO after spending more than 40 years in the party. When leaving UMNO, he said his political principles and the party's direction no longer aligned. He said he was not convinced that UMNO's rejuvenation had begun. 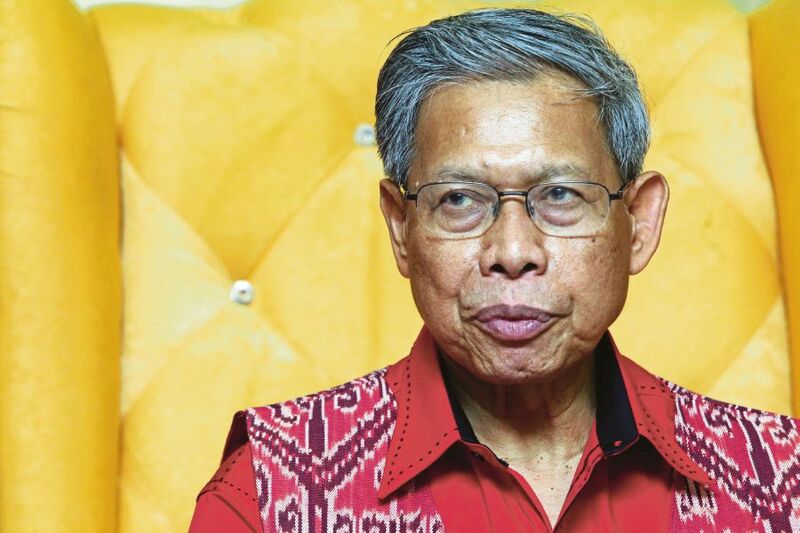 Mustapa said he, like many others, had after the 14th General Election observed the Malaysian political landscape, UMNO's and Barisan Nasional’s direction as well as the future of the country. Based on developments, he said it would be difficult to repair the “trust deficit” and the party’s image. There were no signs, he said, that the majority of the multiracial community would return to the party’s struggle, reported NST Online.